Can an OLED TV still get us excited when it's only Full HD resolution? Behind closed doors, in LG’s high-security Seoul HQ, dubbed The Twin Towers, there’s a white board screaming the message ‘2015 is the year of OLED!’ It’s underlined three times in red marker. There’s a smiley face drawn alongside. And maybe for good reason – after years of ruinously expensive research and development, LG’s Display division is on the verge of mainstream production of WRGB OLED panels. Between you and me, it intends to push hard with the technology over the next 12 months. You can’t blame the boffins for being keen. Even LG’s arch nemesis Samsung has stepped away from production because of technical complications, and what’s left of the Japanese TV industry is watching circumspect from the sidelines. Unlike LED/LCD TVs, self-emissive OLED doesn’t require a backlight, and the manufacturing process is actually simpler as fewer components are required. LG’s latest M2 production facility can now produce 26,000 substrates a month, with each sheet generating enough glass for six 55in screens. A year ago, the brand was struggling to disgorge 8,000 per month. The 55in EC930V is in many ways a forerunner to this big push. It’s a Full HD panel with, by past OLED standards at least, a relatively affordable price tag. It’s also the first OLED to offer LG’s WebOS Smart platform. As a piece of cosmetic design, the 55EC930V is a wonder. The screen itself is so thin it feels positively fragile, even though it’s reinforced with carbon fibre for much needed rigidity. Heck, even the back panel is artful. Finished in gloss black, it’s largely devoid of grilles and screws. There’s even cable cover to mask the rear-placed connections. The curving pedestal stand is equally glamorous, with a nice glitter-flecked appearance and clear OLED branding, just to ram home its superiority. Indeed, the panel is so thin, electronics and connectivity have to be worn almost like a backpack. Connections include four HDMIs (three side-facing) with ARC and MHL support, three USBs, an optical digital output and Ethernet jack. The set has both terrestrial and satellite tuners, although only one of each. There’s also dual-band support for 2.4/5GHz Wi-Fi, plus Wi-Fi Direct. Two remotes are bundled; a regular infra-red doofer and the latest version of LG’s Bluetooth pointer. In addition to the usual raft of streaming services, the set offers media playback from networked storage as well as local USB. Video codec compatibility includes MKV, AVI, MPEG and WMV; audio support covers MP3, M4A, WAV and WMA. So what of the OLED viewing experience? Does it really match the hype, and can an expensive Full HD set compete in a world of ever more affordable 4K/UHD? When it comes to sheer dramatic impact, the EC930V certainly delivers. A perfect full black, rich colour fidelity and peak whites make for jaw-dropping images. This is a screen technology optimised for fireworks – the incredible dynamics of the 55EC930V are a constant delight. On this LG, the home screen of my Oppo Blu-ray player pops in a way I’ve never seen before. Even the menus have incredible visual snap! Take my money OLED, I’m yours. When you’re watching a letterboxed movie, the bars top and bottom are perfectly inky with zero light spillage. 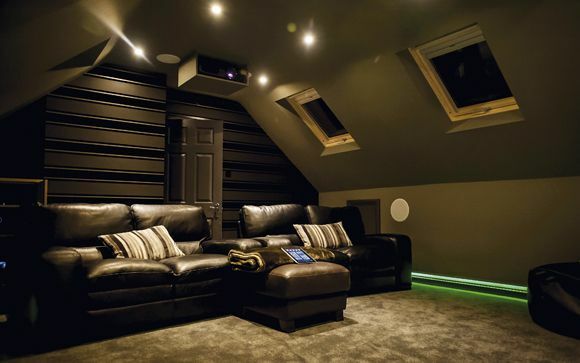 Home cinema heaven! OLED is like plasma, only more so. But the panel technology is reminiscent of plasma in other ways, too. There's a tendency toward pixel fizz, which can become quite pronounced on some movie material where cinematic grain (be it real or digital), can suffer serious over-emphasis – look for it on the Blu-ray of Transformers: Age of Extinction. The ISF presets detune this quite successfully. With Sky HD and Blu-ray, fine detail is generally excellent. While 4K would be nice, this 1080p 55-incher offers an often astonishingly dense image. OLED is deceptive, though. Pure black aside, there’s no more shadow detail on display here than you’ll find on any well turned-out LED screen. Overall screen brightness can even seem dull, most evidently when asked to display a lot of white. That characteristic peak white sparkle is a delightful visual trick. Blacks can also seem a little crushed, and correction is tricky. While you can nudge more shadow detail from the mid-point default, this causes unexpected side effects. When Uma Thurman is buried alive in Kill Bill 2, her incarceration is shot in such low light it actually causes some LCD TVs to momentarily switch off. Yet here, if you set brightness anywhere higher than mid-way, the low-level shadows in the scene glow as if radioactive, which is unlikely to be what Quentin Tarantino intended. OLED is inherently fast, with a response time quoted at just 0.001ms compared to 5ms for LCD, but it still needs the help of picture processing trickery to retain fast-moving detail. Without LG’s proprietary Trumotion image processing, this screen has a subjective horizontal motion resolution of less than 900 lines. Engage the Smooth or Clear settings, though, and you’ll immediately reinstate detail up to 1080. Clear delivers the most pleasing image, with negligible artefacting. Smooth suffers a little from smudgy displacement seen around certain moving objects. With Trumotion turned off, the shaky-cam style of Paul Greengrass can take on an occasionally unsettling blurry quality in Captain Phillips. When pirates board Tom Hank’s ship you could feel distinctly queasy for all the wrong reasons. The image appears more ship-shape when the Trumotion setting is set to Clear. There’s also a User mode with variable de-judder and de-blur. I found the best results came with de-blur set to zero. The radius of LG's curve is rather benign and as a consequence it doesn’t overtly irritate. Equally, it doesn't contribute anything significant to the viewing experience. This is design artifice, pure and simple. Stereoscopic viewing is excellent. There's no overt double imaging from LG's Passive tech, giving clean, deep immersion. Of course, there’s a noticeable resolution loss, this being a 1080p screen. Still, the 3D can really be a lot of fun. The opening sequence from The Legend of Hercules pulls you up through a cloud of swords and helmets, and threads your eyeballs through knotted oars and on to the battle-steeped beaches of Argos. Arrows, flaming missiles and more zip toward you on every trajectory. It’s impossible not to momentarily flinch at the near misses. Overall, the LG EC930V is an intriguing proposition, offering a level of depth and vibrancy that hasn't been seen before. If you’re looking for eye-candy you’ll find it in spades. There are several image caveats, and the relatively high price pitches it against some very impressive 4K LED panels, but as the harbinger of change it leaves us eager to see more. 4K OLED is looking like the promised land, and smaller, more affordable panels than LG's current 65in/77in beasts will surely come.